Thank you for applying for the position of Executive Director at the Walnut Hills Redevelopment Foundation. 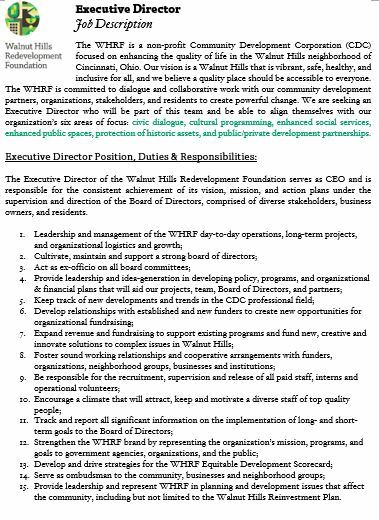 Please see the attached job description (left) and send all inquiries and resumes to info@walnuthillsrf.org with "Search Committee" in the subject line. 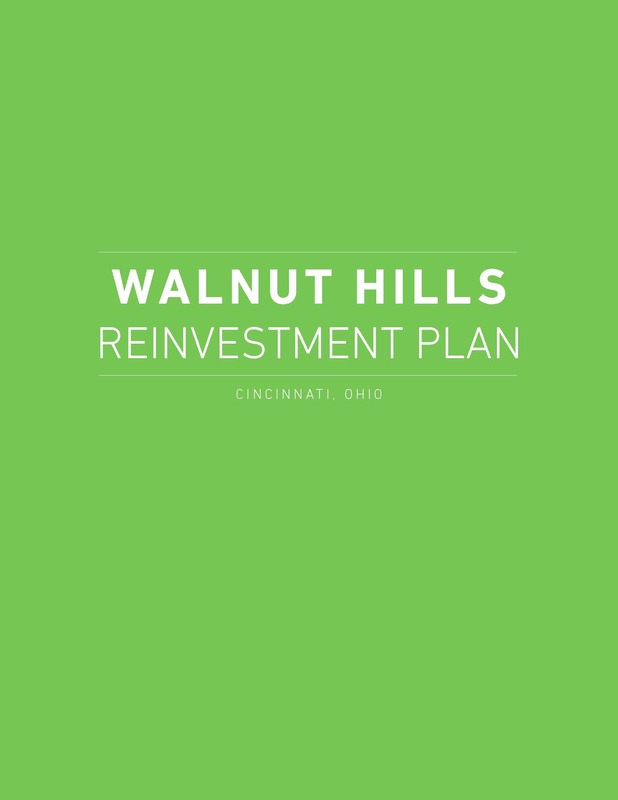 Before applying, please read through the Walnut Hills Reinvestment Plan (bottom left) for detailed information on the demographics and projected development of Walnut Hills.